Here are the last two (as of now) birds in my small painting series. 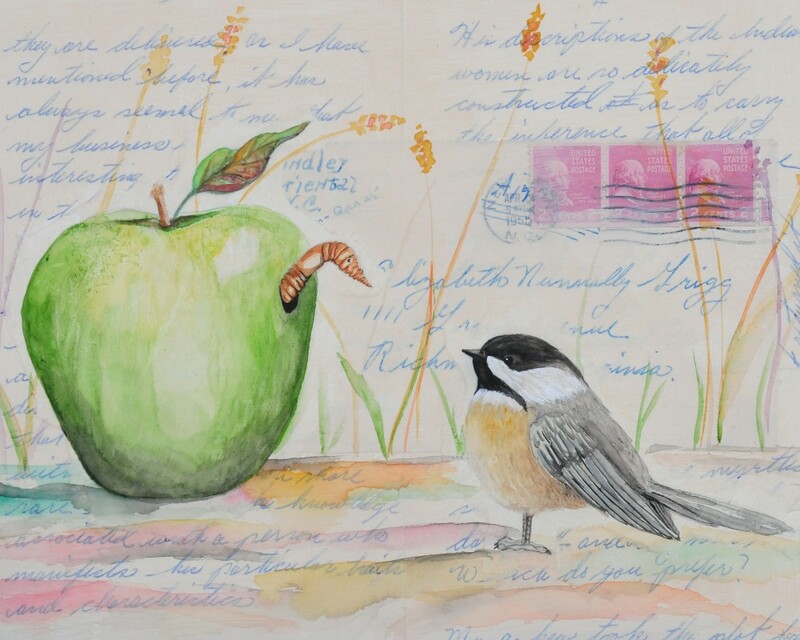 The Chickadee is 8″x10″ and the canary is 5″x7″. 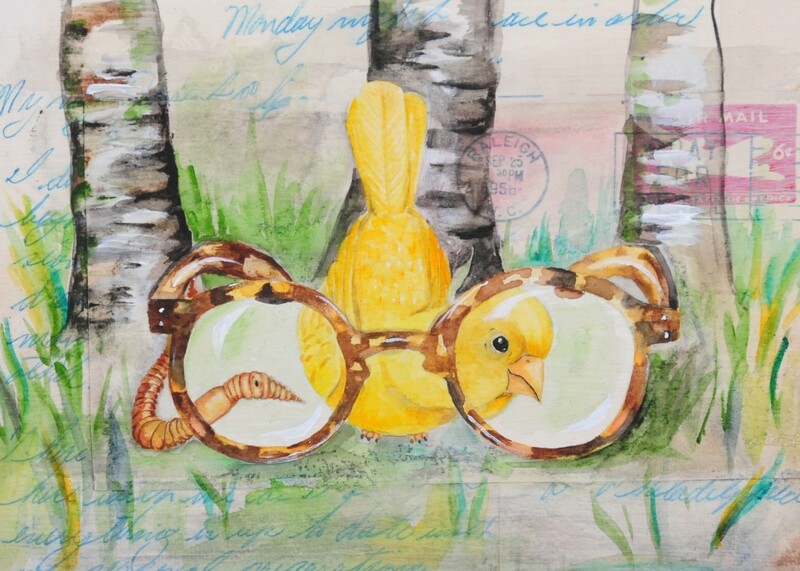 They are painted with watercolor over vintage letters and envelops.